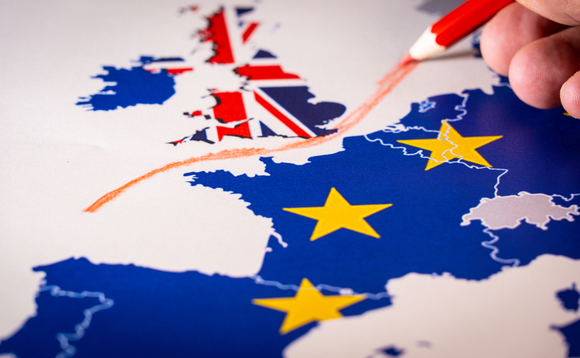 UK fund investors have shifted a net £62bn of their investments outside the UK since the 2016 Brexit referendum, according to the latest Fund Flow Index (FFI) from Calastone. In March 2019 alone they placed some £2.7bn in EU-based funds, almost triple the inflows into UK-regulated funds, as worries over a no-deal Brexit escalated. According to the report, almost all of the total £62bn is now invested in EU-based funds, with Dublin coming out as the biggest winner, taking in some £42bn; almost all of the rest has gone into funds domiciled in Luxembourg. Dublin and Luxembourg have been the real winners from the UK's decision to quit the EU." This figure is a staggering increase from the £2.5bn UK investors placed into offshore funds in the 18 months before the referendum. In the last six months, however, UK investors have placed more money into offshore funds than those domiciled in the UK - £9.5bn versus £7.5bn. Calastone found this was the case across all asset types, suggesting that the choice of jurisdiction outside the UK was the main driver. Edward Glyn, Calastone's head of global markets, said: "Dublin and Luxembourg have been the real winners from the UK's decision to quit the EU. Before the Brexit referendum, there was relatively busy two-way trade in offshore funds, but the net amount that flowed offshore was extremely small. Since June 2016, the picture has changed completely as a wall of UK investor money has fled from the UK to Dublin and Luxembourg, where it will remain inside the EU's regulatory jurisdiction once the UK leaves the union. "Big political events have clearly influenced investors: flows offshore have risen markedly at key moments of instability connected to the Brexit story. "Institutional and high-net-worth individuals are mainly responsible for the trend; smaller retail savers remain focused on UK-domiciled funds, suggesting that more sophisticated investors have the greatest concern about the consequences of Brexit."